Happy New Comic Day! I didn't make it to my shop today to pick up however many books I have waiting for me. But that's ok, I still got in some though. Of the many books coming out this week, one I'm looking forward to happens to be the book that takes home the cake today. And just so you know, yes, the cake is a lie. But the fellas on this cover won't care that much. 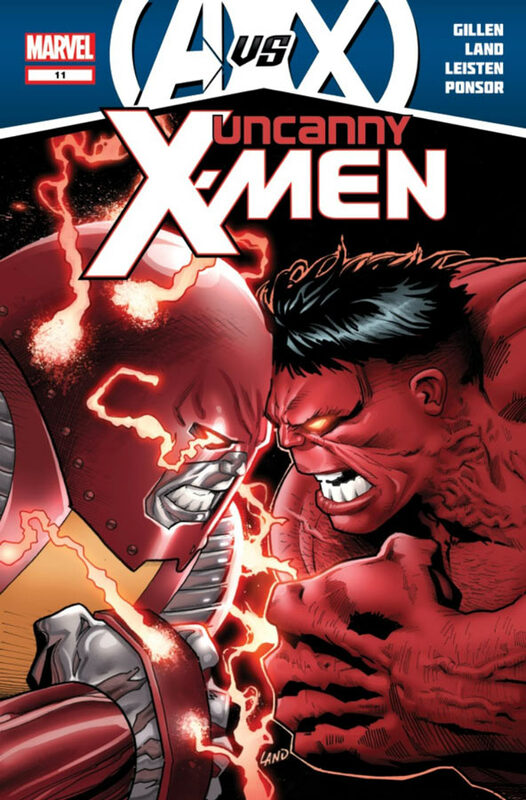 I'm not sure how many Marvel books have taken the weekly crown, but here is Uncanny X-Men #11. And yes, I know what happens when Greg Land's name is mentioned. But I'll be honest, I don't totally hate his work. The use of the pornstar faces, over and over, does get old. 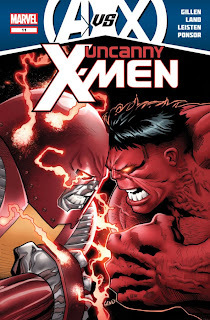 Here we have Colossus, with his new head-piece and all energized, facing off against Rulk in what is sure to be a nice super slugfest. I actually kinda like Rulk too and I'm not really a fan of the Hulk-family thing they have going. Thanks for looking and keep it nerdy my friends.